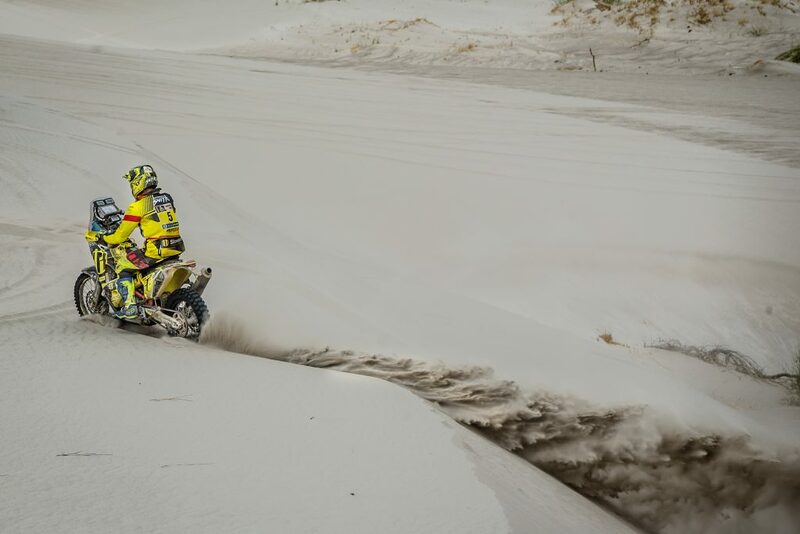 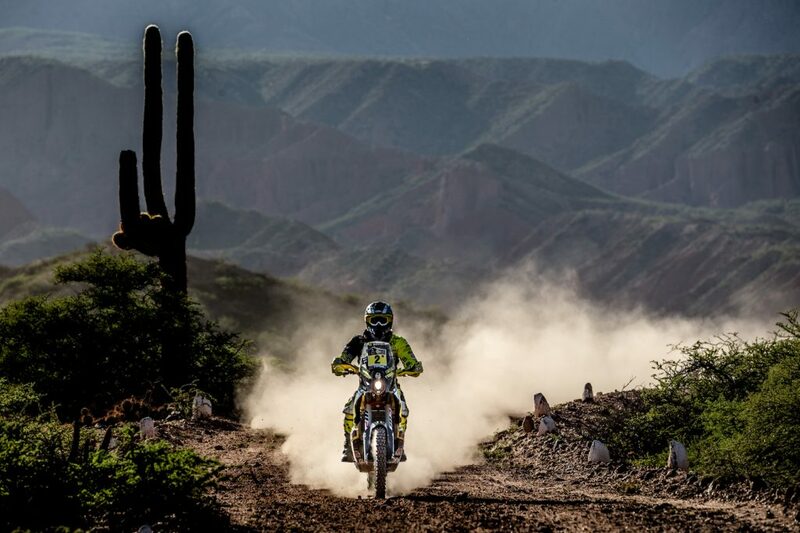 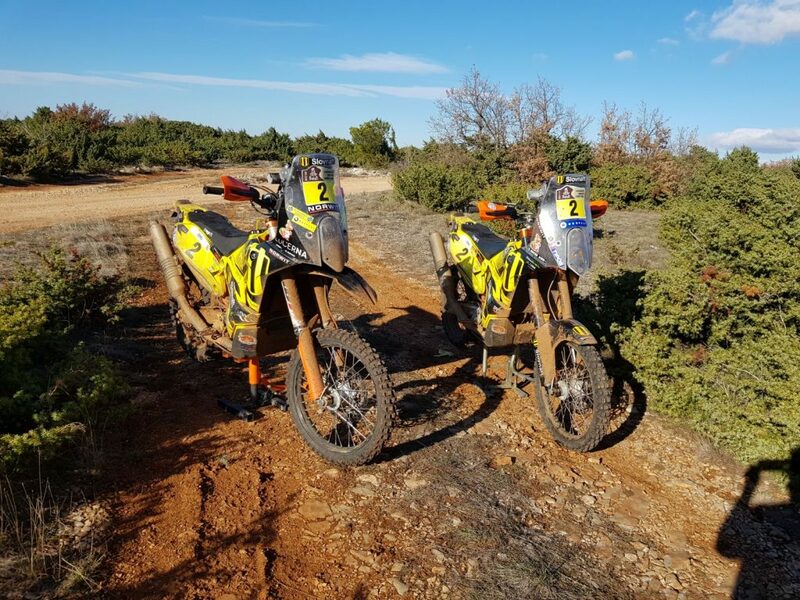 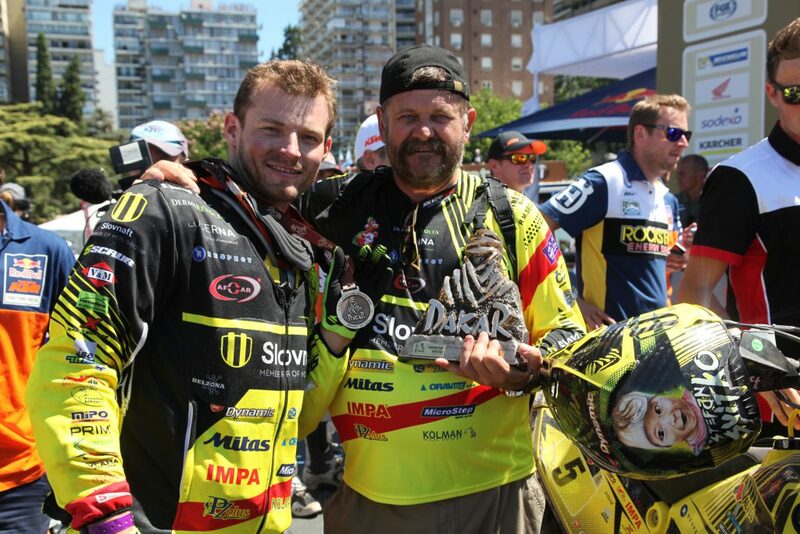 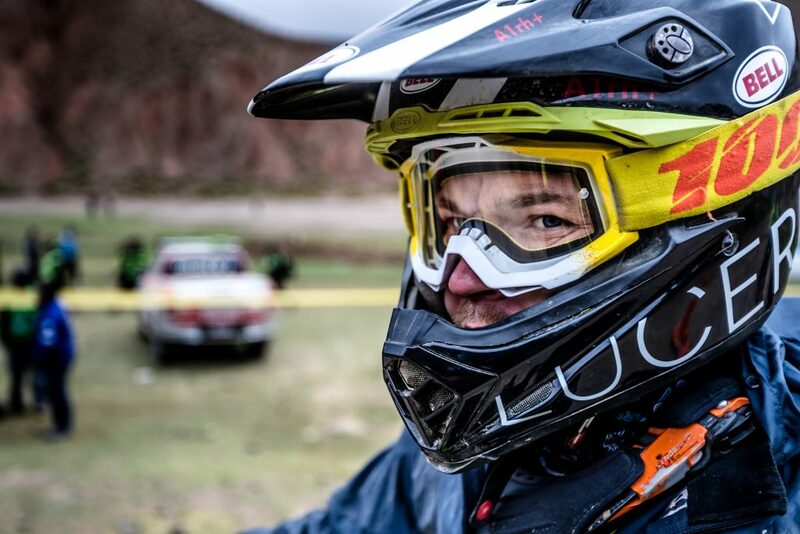 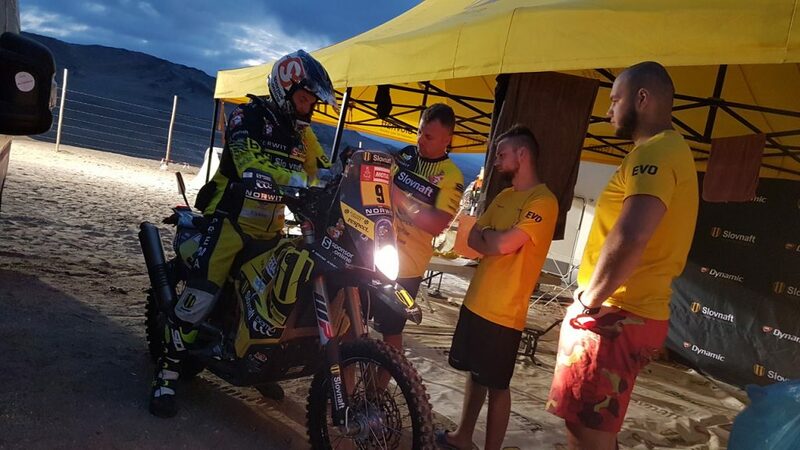 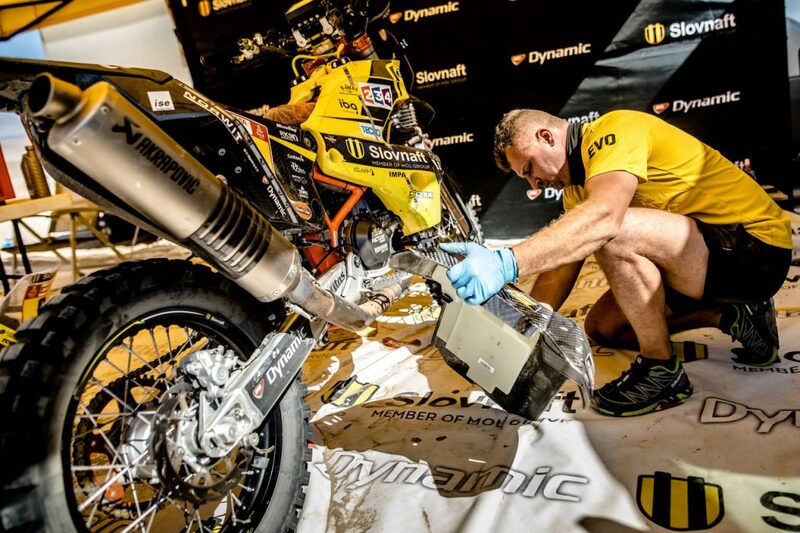 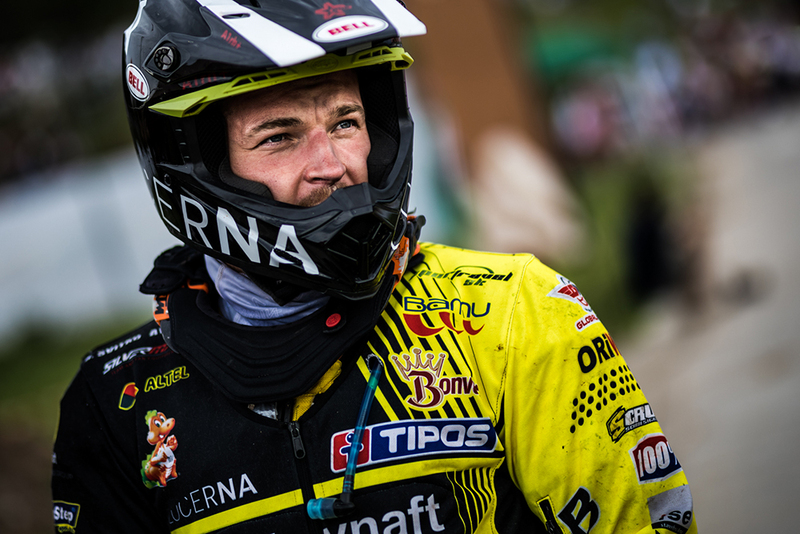 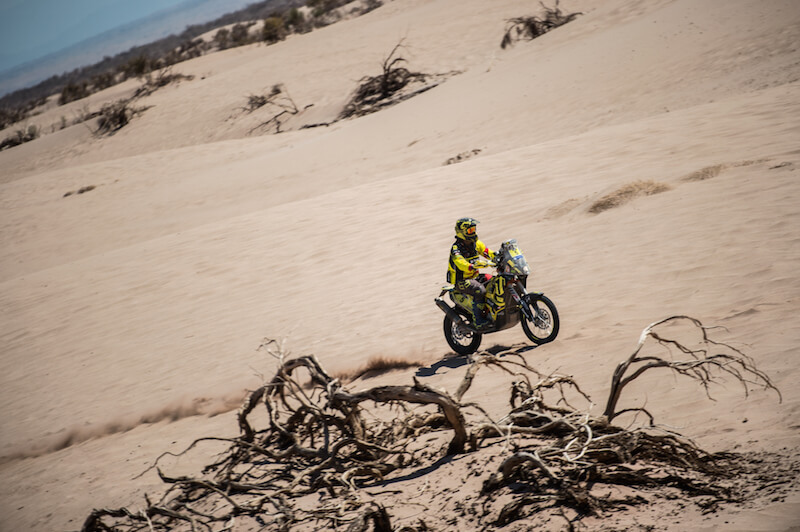 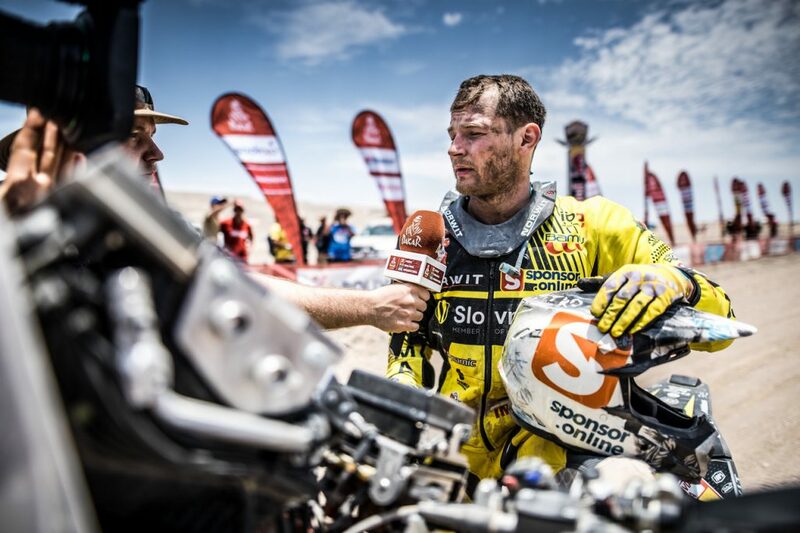 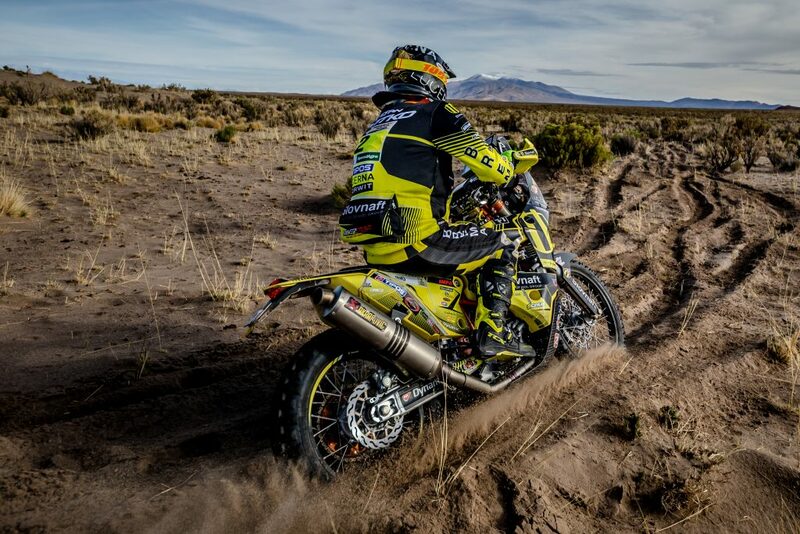 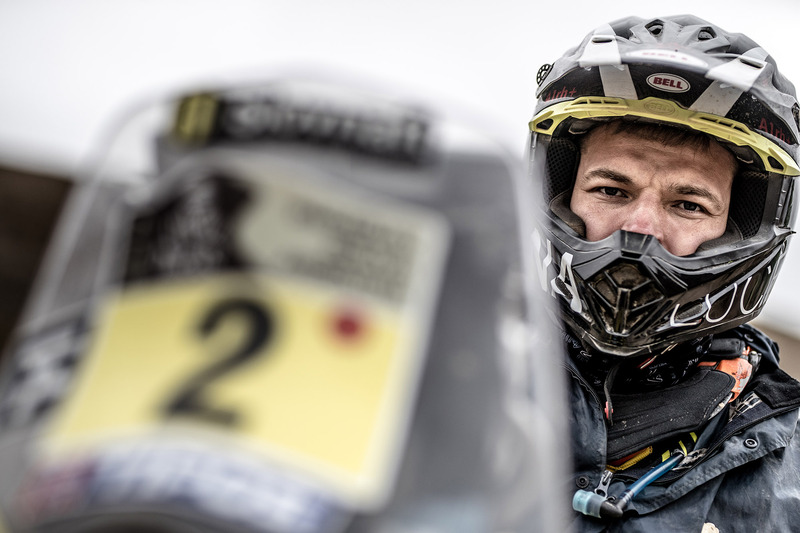 The tenth stage of Dakar 2017 was the hardest and tested Števo’s quality. 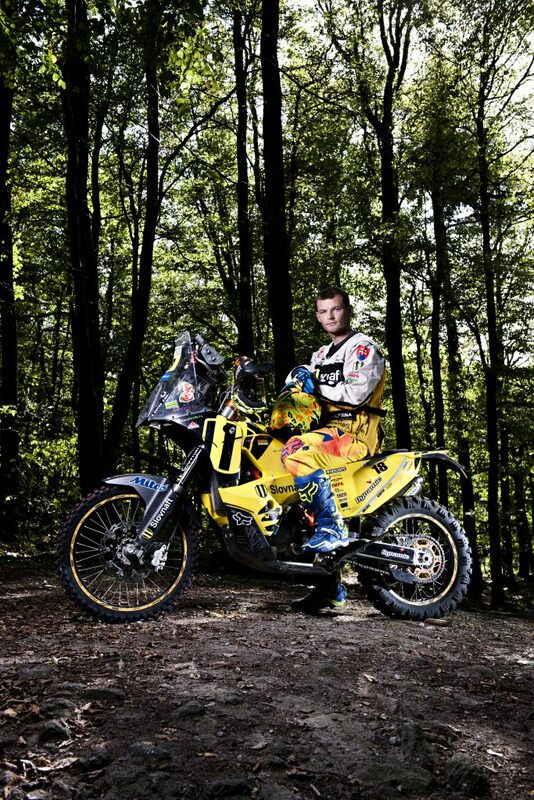 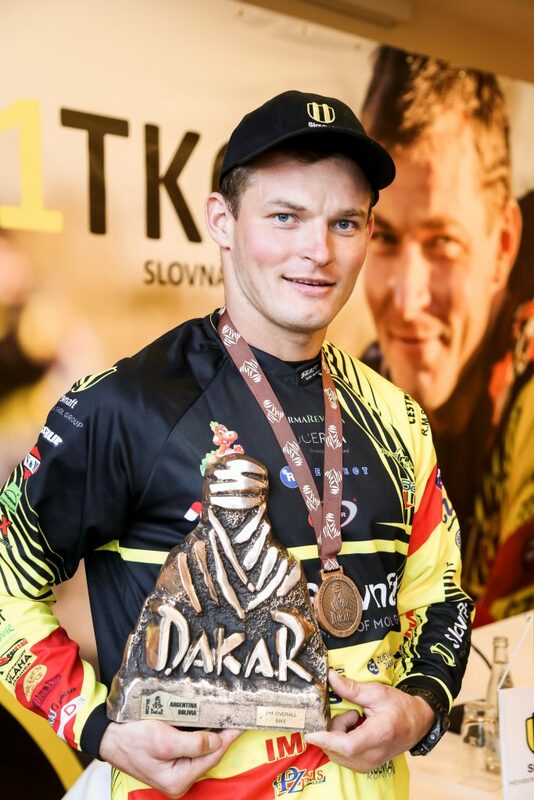 With a loss of only 24 seconds for the winner, the Slovak competitor once again confirmed that he is among the best! 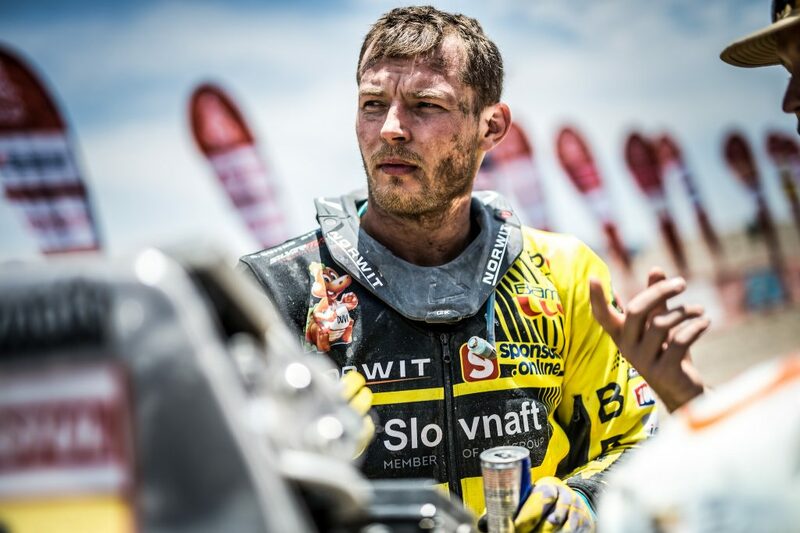 The great load and previous health problems had taken their toll and Števo got to the brink of their forces. 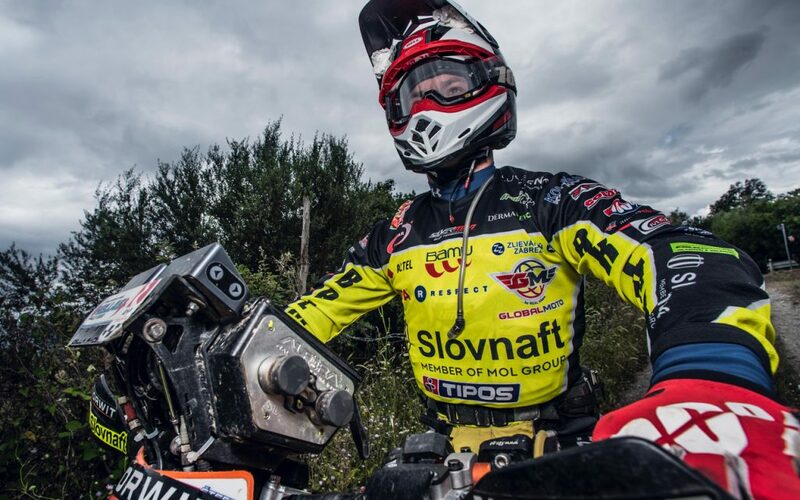 “I wanted to win this stage,” Števo admitted at the end. 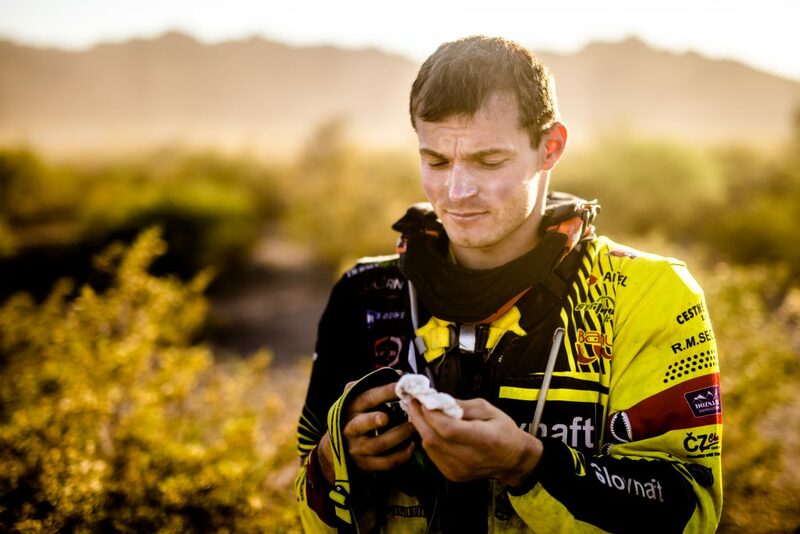 Even before the start he was afflicted by stomach problems, but that did not affect his commitment and determination. 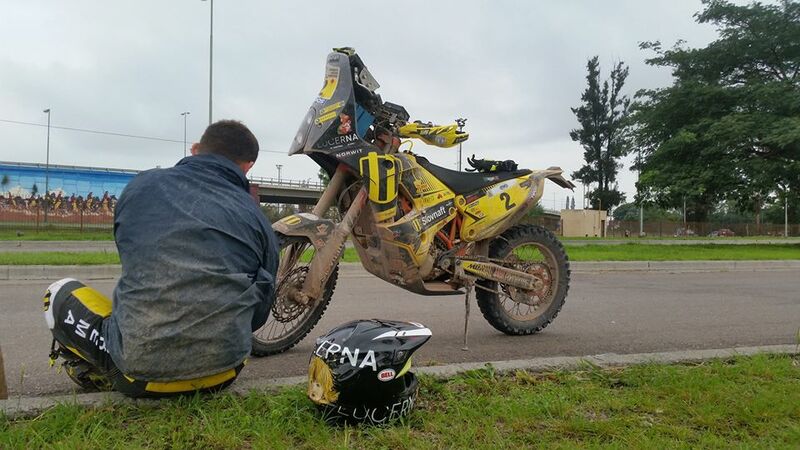 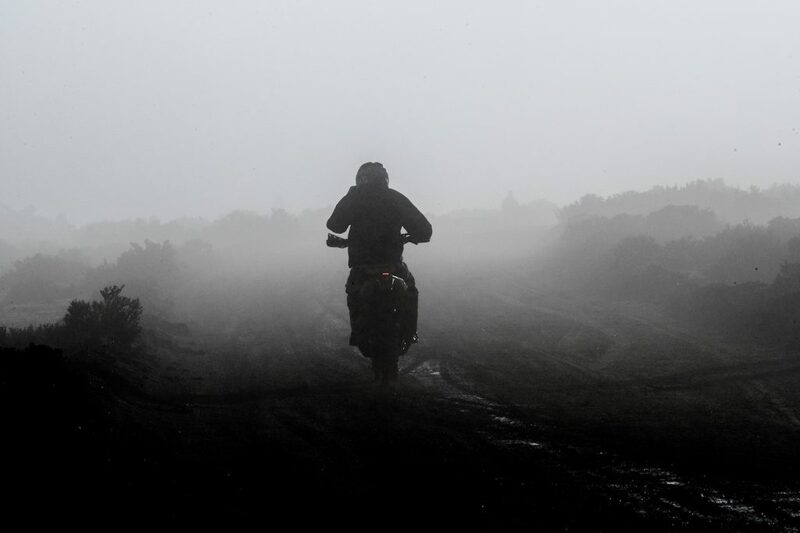 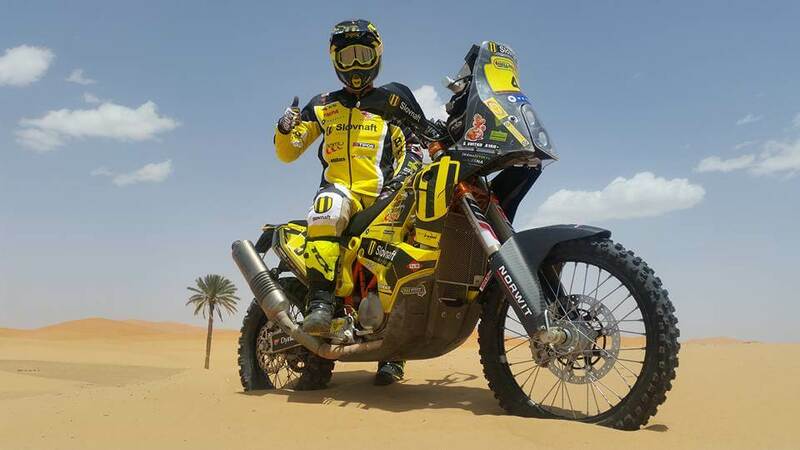 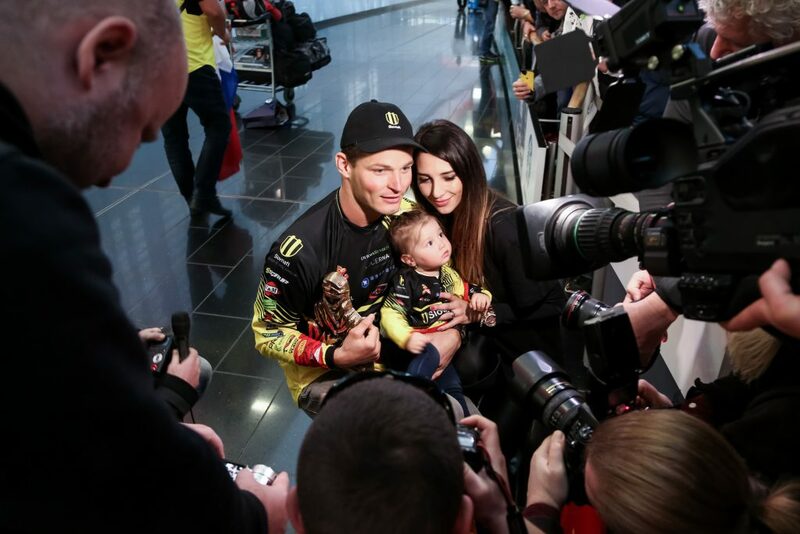 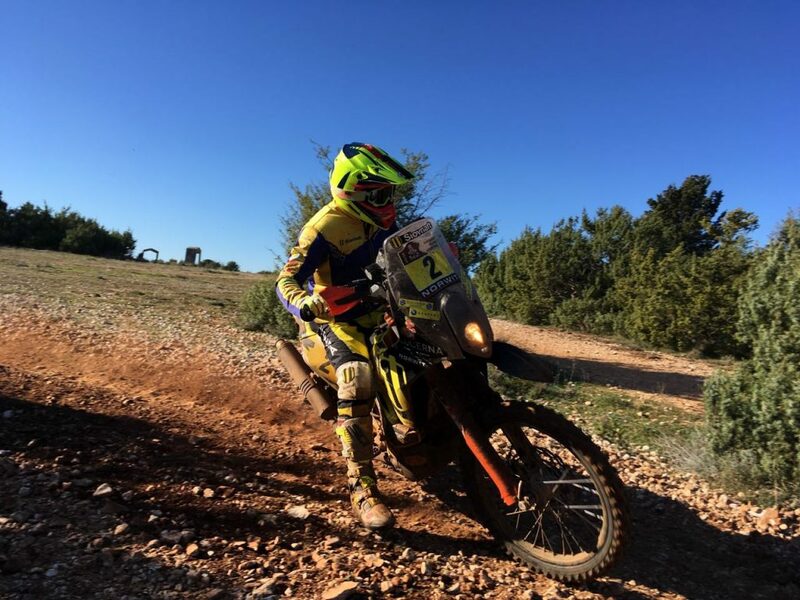 After more than seven hundred kilometers on a motorcycle he stopped in the zone for media, where he began to feel sick again. 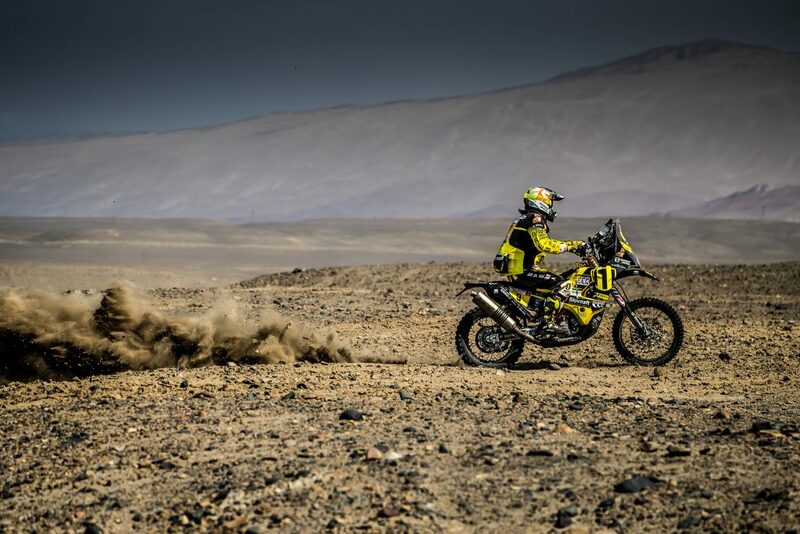 Nevertheless, he was determined to pass another 49 kilometer-long road to the bivouac. 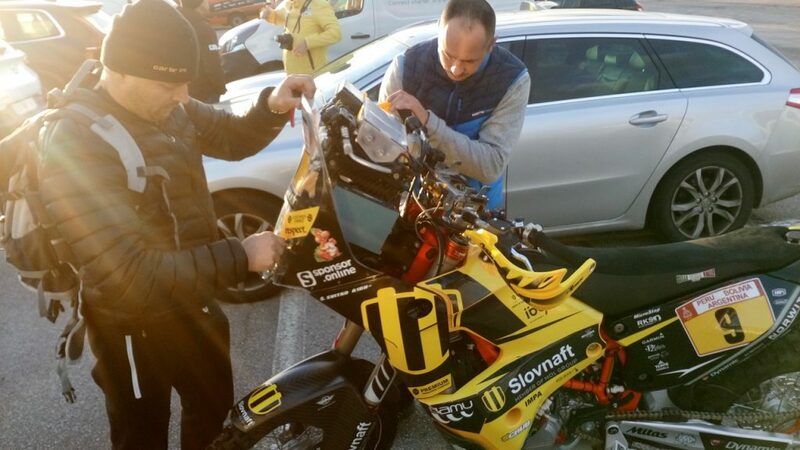 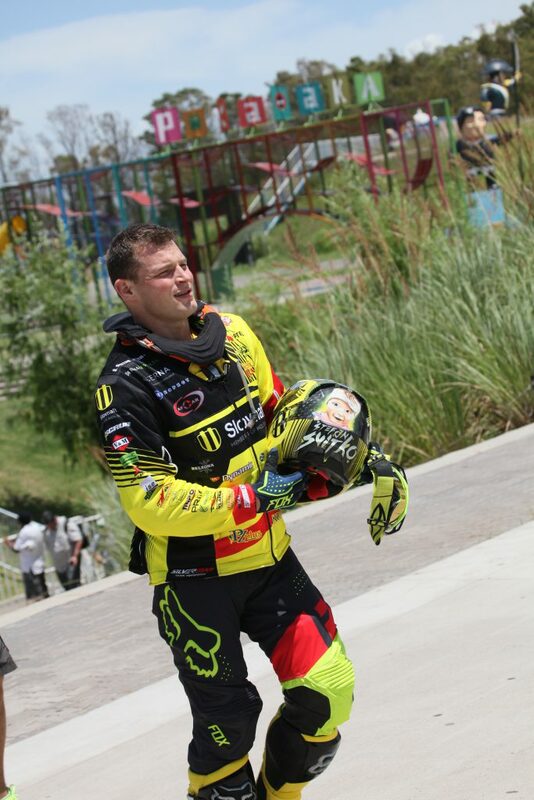 Riders were stopping next to Števo, going around and leaving him water. 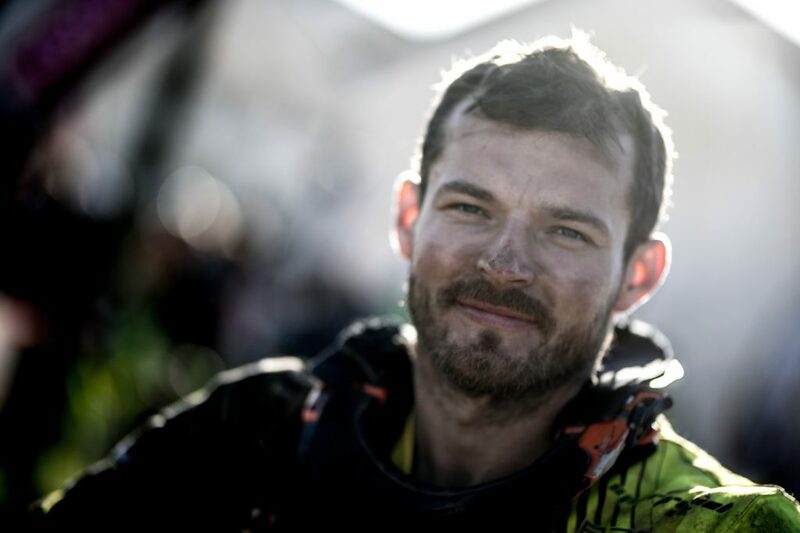 But he told everyone he was okay because he believed that his condition would quickly improve and be able to continue. 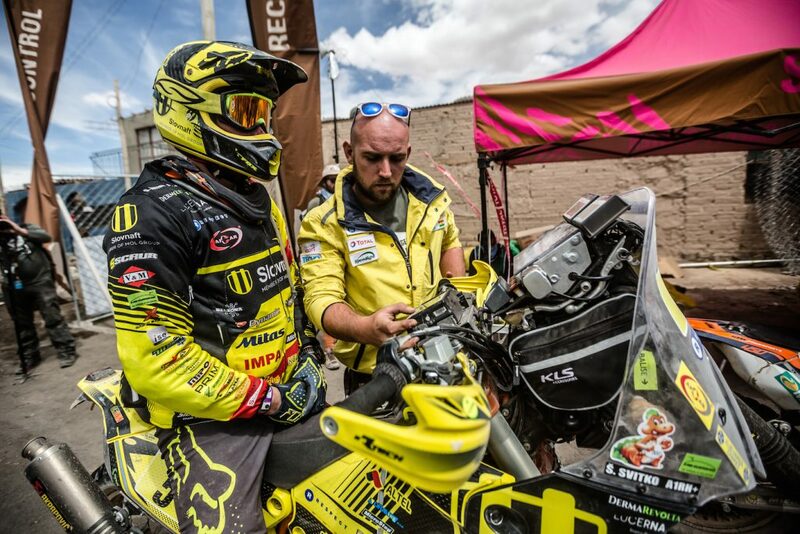 The ambulance took him to a local hospital in San Juan, where he was given infusions and after three hours went to his team on motorcycle. 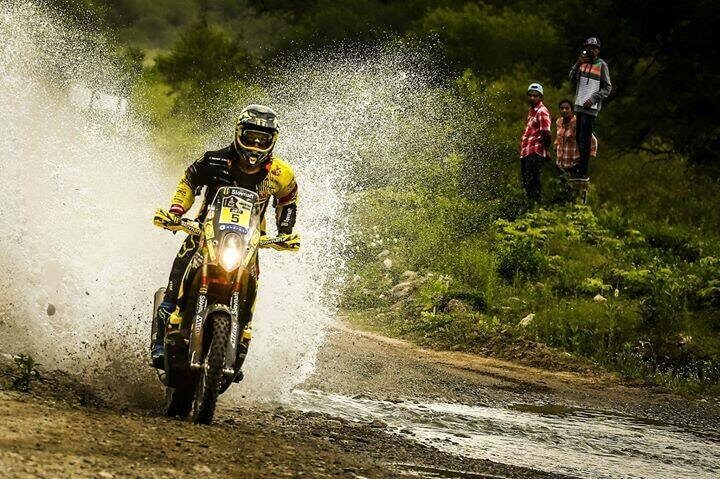 Only then did he realize that he had made one crucial mistake. 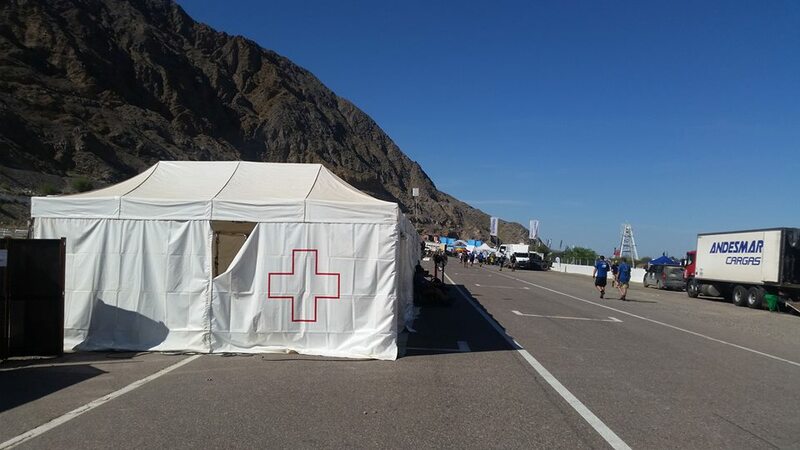 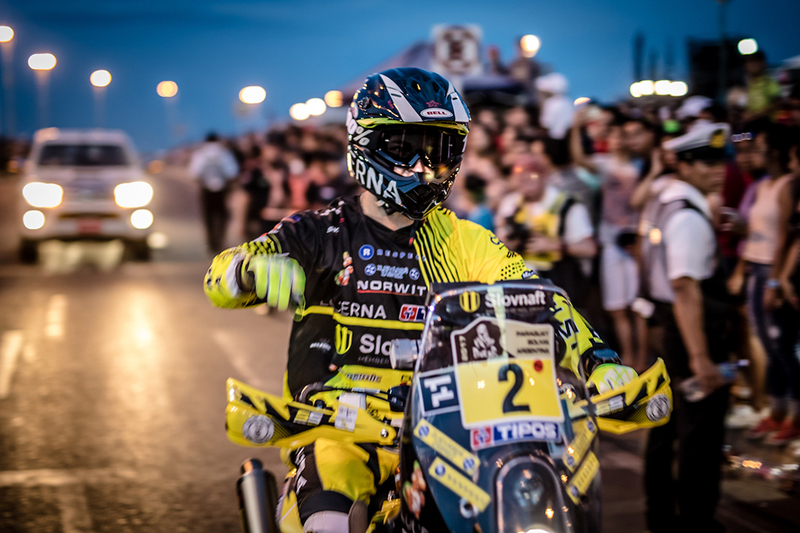 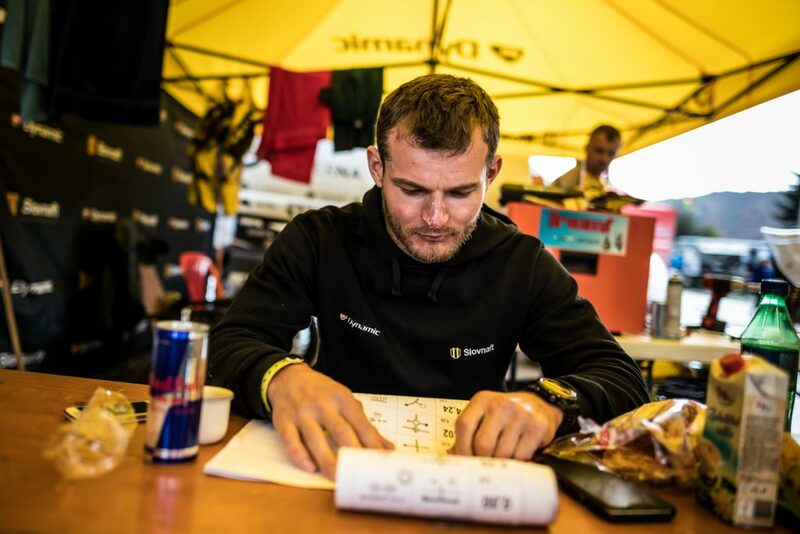 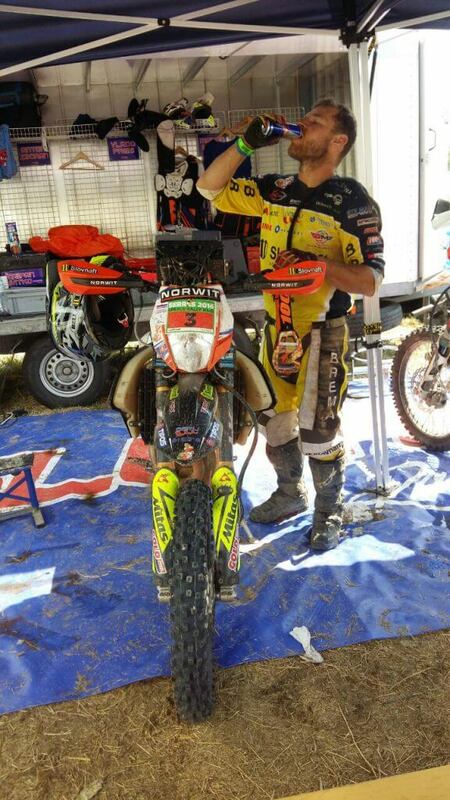 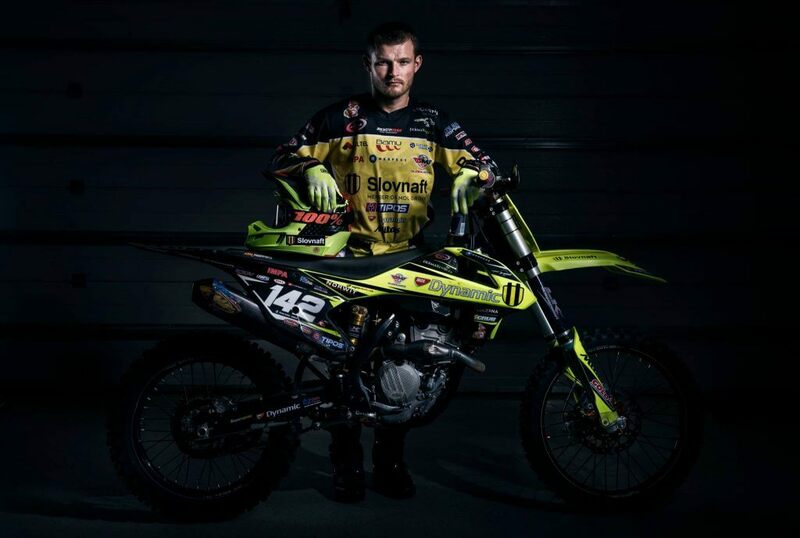 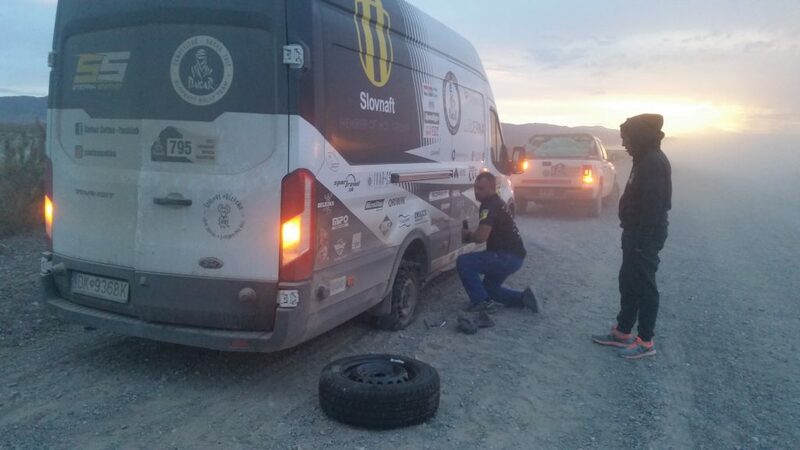 Although the tenth stage was the hardest, because the riders had to overcome the 40-degree heat, Števo’s health problems could be overcome and the next day the competition continued.